My son loves Paw Patrol. He's just over 2 and he watches this show all the time. Actually he requests to watch "Taw Trol" every morning and usually I give in! Now it's even easier that we have this DVD with 5 wonderful episodes (each with 2 different sections) on it! It just goes through them and usually by the 3rd he runs off playing, he gets his fix and it's easy on me since it cycles through the episodes automatically! These episodes have been aired on TV before, but it's still nice to have them all in one spot. Pup Pup Boogie is probably BOTH of our favorites, that song is super catchy! 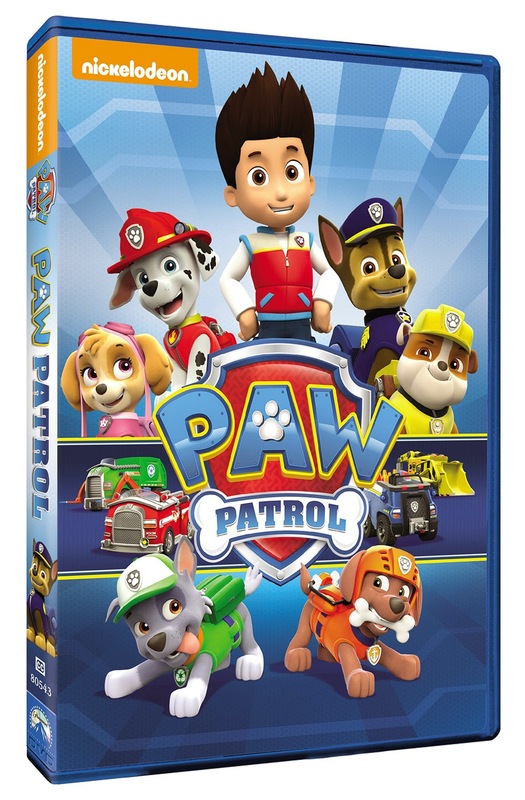 My Son's adore Paw Patrol and I would love to win this for them. My 2 yr old LOVES this show and I'd definitely be giving it to him! My son loves Paw Patrol. He like Chase. My kids love Paw Patrol...even the older ones!! My grandchildren think Paw Patrol is great-I will keep it so they can watch when they visit. My son loves Paw Patrol! I would keep this for my son. He wants to be Ryder when he grows up so he can have lots of puppies! My son loves it! We've printed out a ton of coloring pages for him to enjoy! My daughter loves paw patrol! Yes, my 2 and 4 year old love Paw Patrol! My daughter love Paw Patrol! We watch it daily! I would keep this for her as a birthday present! I would give this to my two year old granddaughter - Paw Patrol is her favorite show! We just discovered it last weekend and my kids loved it so I think we'd keep it! my niece loves it and i think it's a great show too! i may have to keep it at my house! My youngest loves paw patrol. I would give this to her for her birthday in August. My daughter loves paw patrol. Thanks for hosting! We would keep it as all my kids love this show! I'm not sure that my grandsons have ever seen this before. I would give it to them to watch! My son loves this show so I would definitely keep it for him. Yes, they like "Paw Patrol". I would definitely give this to the kids as a surprise! Both my son and daughter love Paw Patrol.